We all know perfection is boring, but that was so Wow! Wow, that was a great show. Henri, Gunnar and me like to thank Marius, Panda, Linda and Anne for this incredible evening. 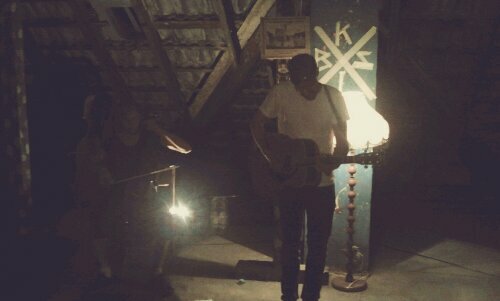 We played in the attic of an old house in Leipzig. They put sofas, old chairs and pillows everywhere. 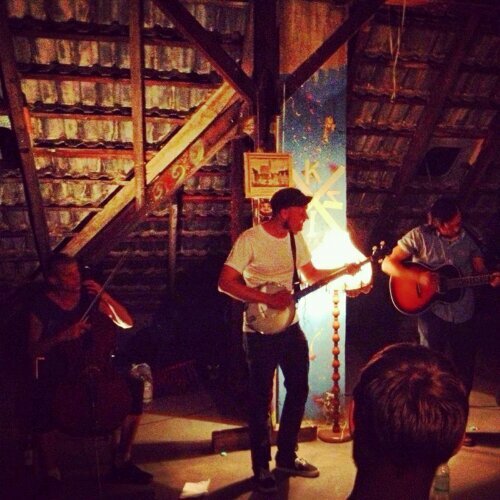 It was the perfect environment for the acoustic show! Kids In Bear Suits, please remember this name. If you see it on a poster, you need to go to the show! Henri, Gunnar and me practiced three songs together before the show and played them during the evening. It was so much fun! I hope I can post one or two videos here in the next days. Plus, if you have taken photos, please send them to me! That would be awesome!